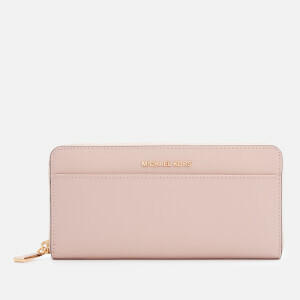 Flat zip-top pouch crafted in blush pink pebbled-textured leather. 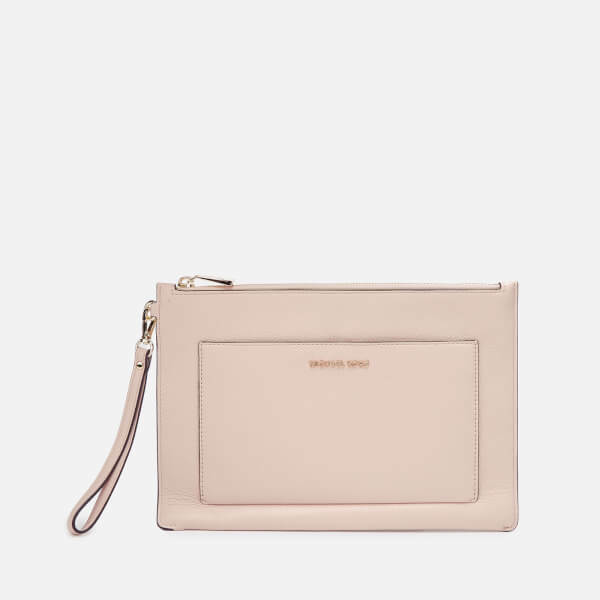 The fully-lined interior houses a large slip pocket and six card slots within. 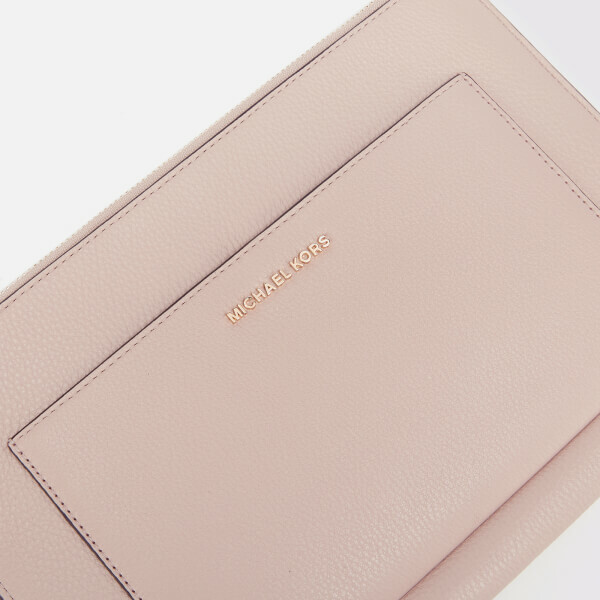 External front slip pocket adorned with appliqué branding. 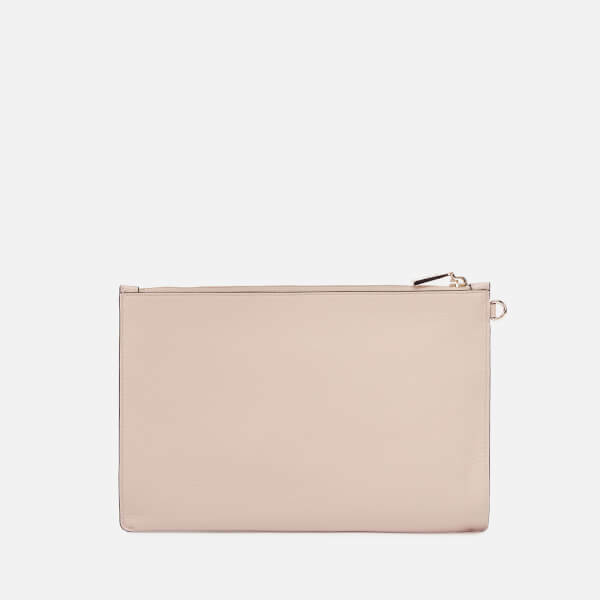 Gold-tone hardware and removable wristlet strap.